SANTA BARBARA, Calif. (AP) — A California zoo had to euthanize one of its most beloved and oldest residents, a 47-year-old Asian elephant named Sujatha, officials said Wednesday. 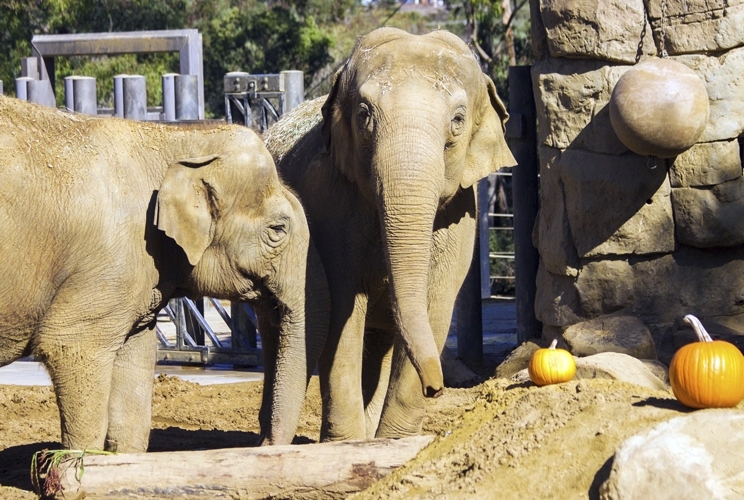 Sujatha was euthanized in her enclosure on Tuesday surrounded by her caretakers at the Santa Barbara Zoo. CEO Rich Block said in a video posted on Twitter that Sujatha’s death “is perhaps the most difficult moment” in his 20 years at the facility. Sujatha had been in declining health for the past few years but was able to live comfortably with treatment, Block said. Her well-being declined precipitously in the past couple weeks and she stopped responding to treatment, he said. Sujatha and her female companion, Little Mac, arrived at the zoo from India in 1972, when they were just 1½ years old, and they’ve lived together ever since. After Sujatha was euthanized, zoo officials say they allowed Little Mac to visit her in hopes of helping the grieving process. Zoo officials say elephants are known to grieve for their companions and that if Little Mac is too distressed about losing her best friend or would like to be around other elephants, she could be moved to another facility.